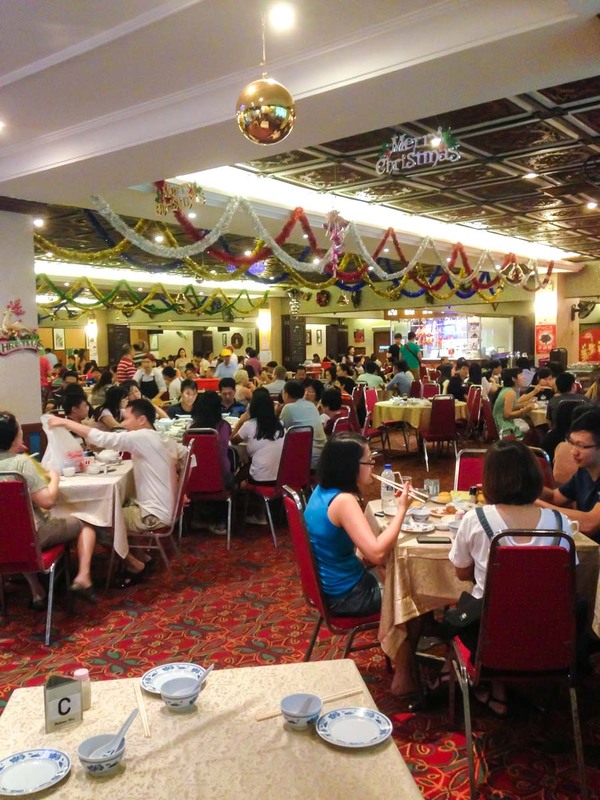 Red Star restaurant is probably the most authentic, classic looking Chinese restaurant left in Singapore. It practically looks like you’ve stepped back in time to the 1970s. Masterchefs Sin Leong, and Hooi Kok Wai, two of the remaining members of the multi-award winning Four Heavenly Kings of Cantonese Cuisine and disciples of Chef Luo Chen at The Cathay Restaurant in the 50s, continue this legacy. You might not have heard of them, but the Four Heavenly Kings of Cantonese Cuisine are largely credited for inventing our signature Singaporean dishes like Chili crab, Yam Ring and Yu Sheng. Due respect has to be paid for creating such fabulous dishes we love today. Red Star restaurant’s lay out and recipes have remained much unchanged since the 70s for more than 40 years, giving a very deep impression of nostalgia. The picture above was the scene on a Sunday morning; people love this place. You see these classic metal chairs with red velvet cushions, carpeted floor and large wooden tables covered by a table cloth. Queue might seem quite long to get in, but I actually took about 15 minutes to queue only. Red Star doesn’t accept reservations, so do come early to beat the queue. 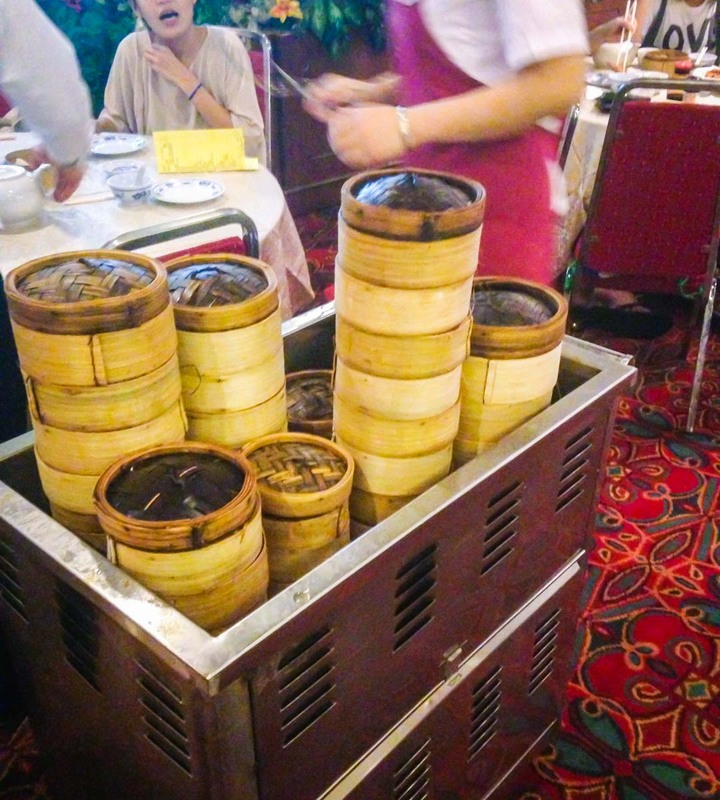 Red Star restaurant also employs traditional cart-pushing dim sum ladies like in Hong Kong. There are around 8-10 different trolleys all stocking different items, so you might have to hunt down specific trolleys especially when it’s crowded. Siew Mai, Xiao Long Bao, Liu Sha Bao, Har Gao ($4 per basket). 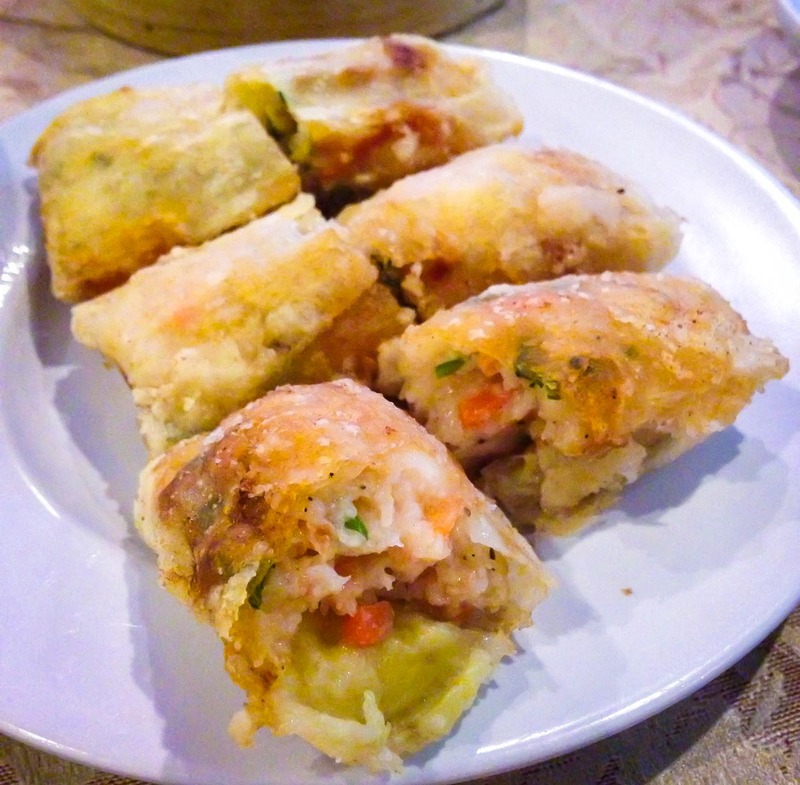 Of course, Red Star serves all the traditional dim sum favorites here. The xiao long bao didn’t have much soup within though. 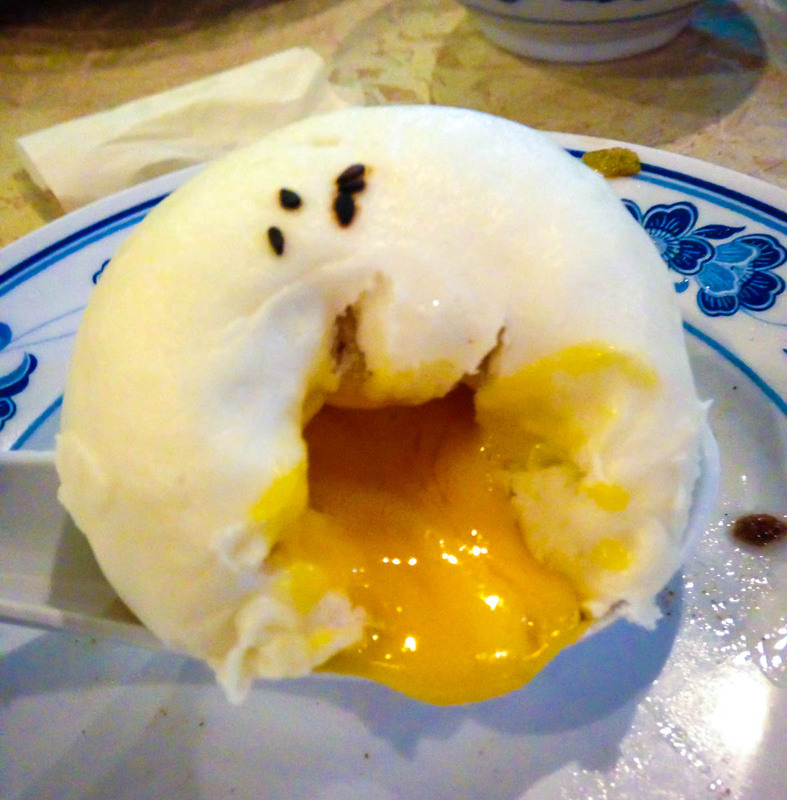 The Liu Sha Bao’s egg yolk custard was at a thick viscosity I like, and not overly sweet. Char siew bao ($4). 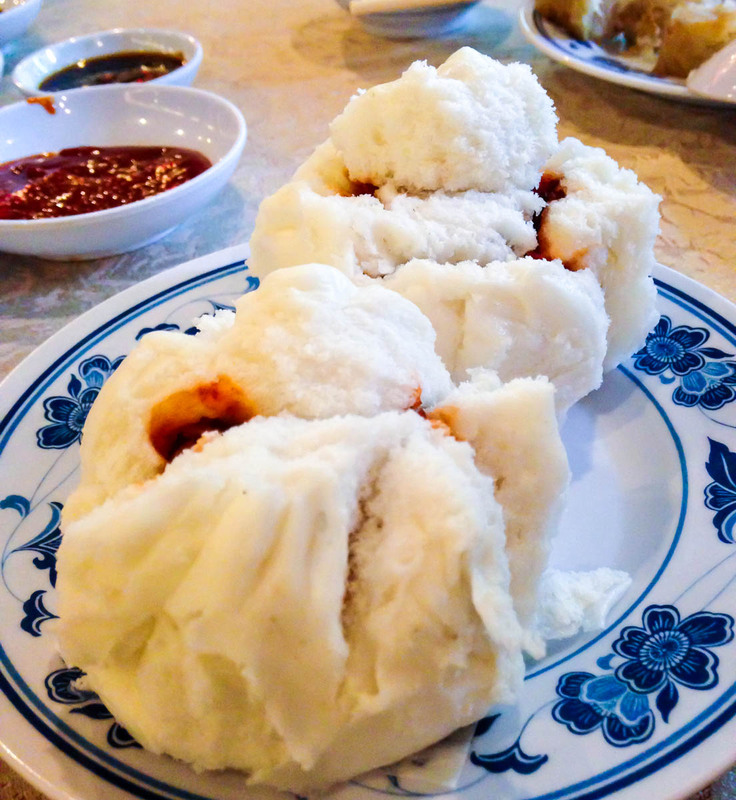 Huge and fluffy BBQ Pork buns with a soft skin. Char siew was decent, but wasn’t as heavily marinated in flavour. Carrot Cake ($3). A mild crisp to the top, not overly starchy but pretty ordinary. 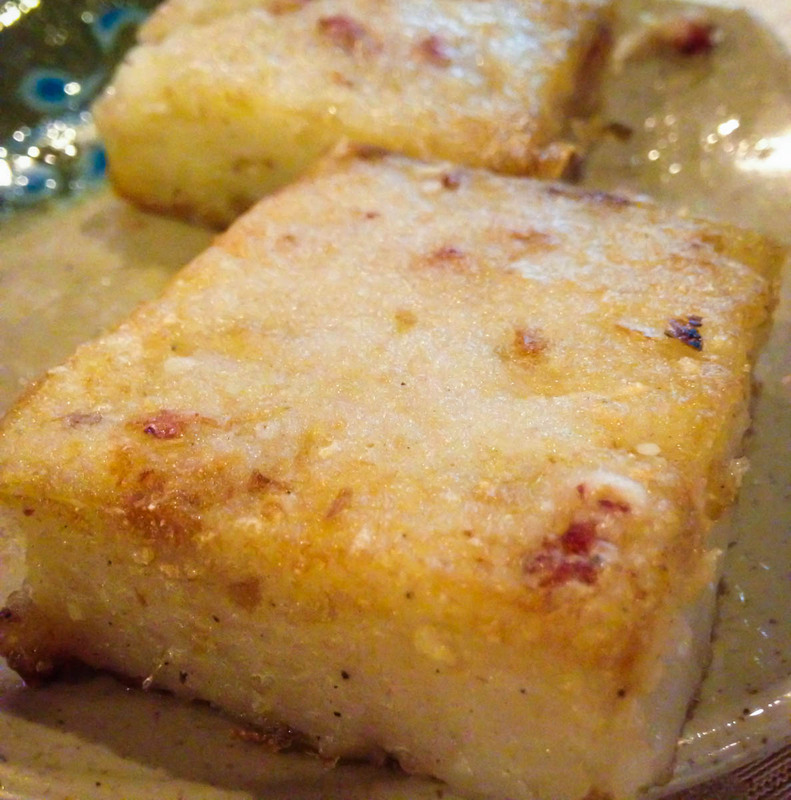 Had pieces of lup cheong within that enhanced bite and sweetness. 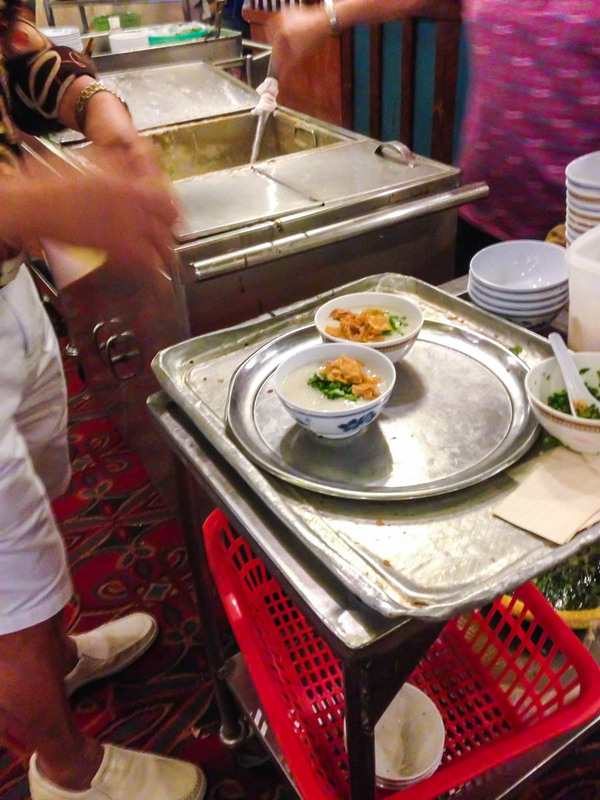 There’s also a porridge station in the middle of the restaurant if you want to get century egg porridge. 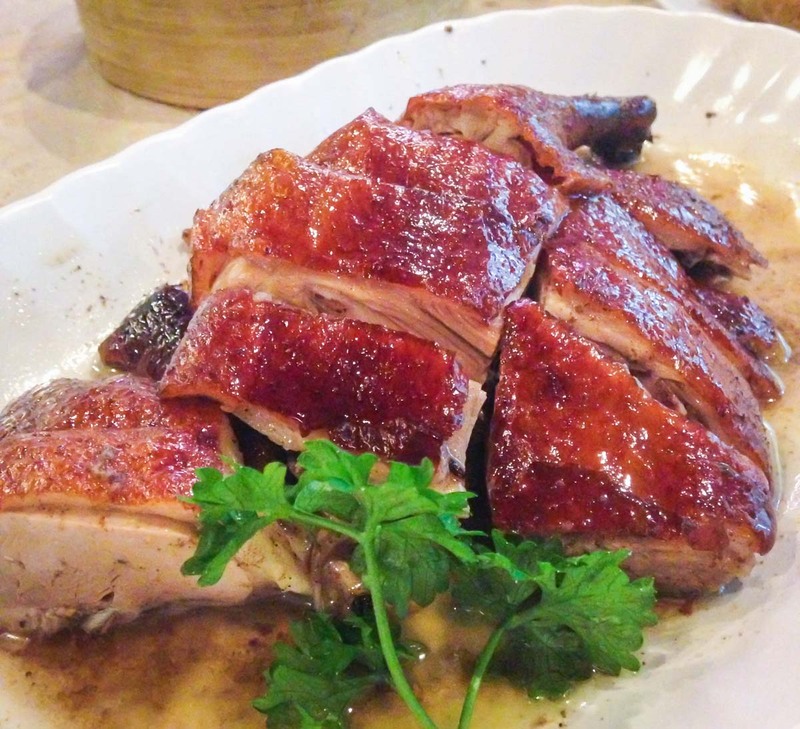 Roast Duck ($14). Ooo the roasted duck is pretty amazing here. Nice roasted skin finish with tender flesh. Banana Fritters ($4). They use really ripe bananas, giving a very soft, sweet and fragrant filing. Quite a crispy fried layer packaging everything within. Alright, in my honest opinion, the dim sum at Red Star is not something to be amazed by; average I’d reckon. 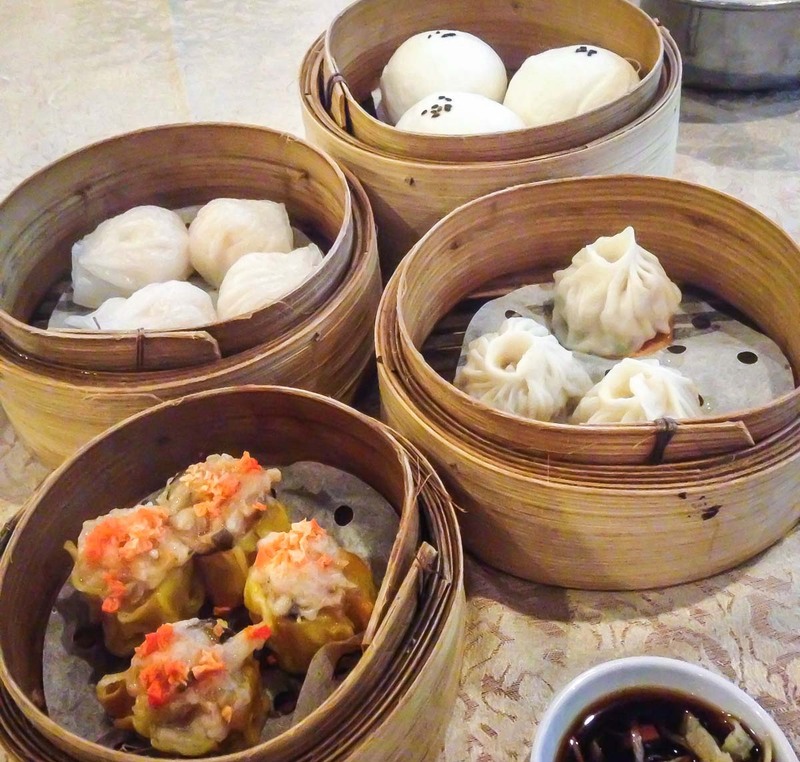 Perhaps new chefs have taken over the kitchen, or recipes have just remained unchanged even though other dim sum restaurants in Singapore have improved tremendously. However, the classic sense of nostalgia here is something you cannot find anywhere else in Singapore. 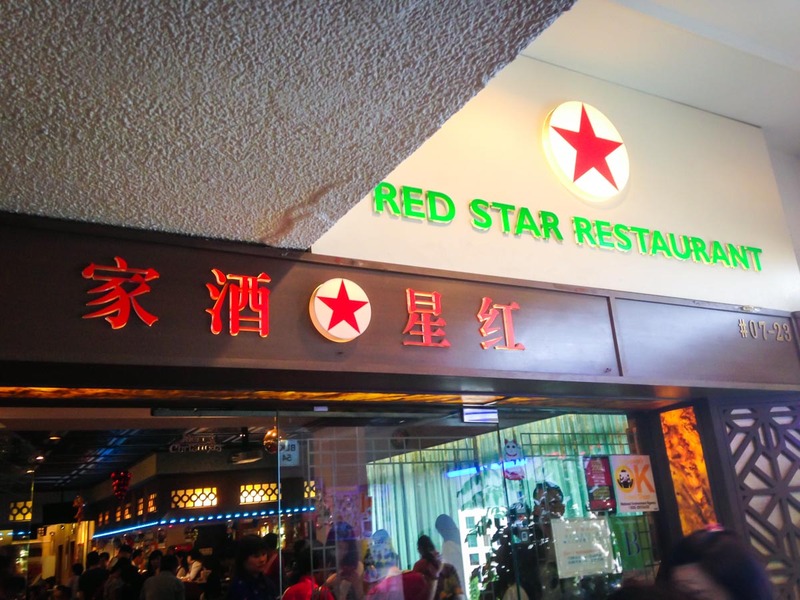 Most of us have probably dined here with our parents or even grandparents in the past, and the kind of memories and feelings Red Star brings back is priceless. I’d still recommend a visit for old time’s sake.